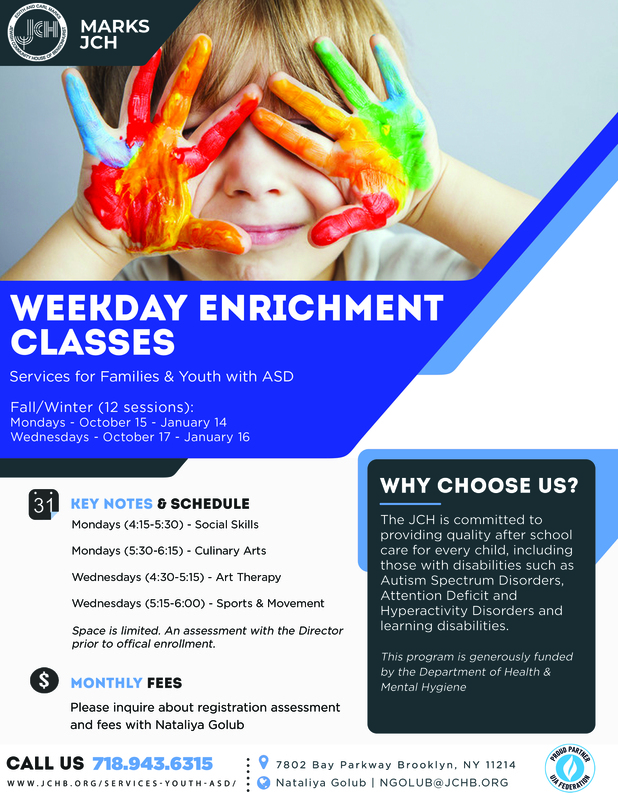 Our Afterschool Center considers the special needs of children on the spectrum between the ages of 5-11 and provide individualized attention and therapy-based programs. Transportation: We provide complimentary transportation from most local schools (P.S. 97, P.S. 101, P.S. 128, P.S. 163, P.S. 177, P.S. 186, P.S. 200, P.S. 205, P.S. 215, P.S. 226, P.S. 229, P.S. 247, P.S. 682, P.S. 686, P.S. 748, Success Academy Charter School – Bensonhurst), and Hebrew Language Academy II. 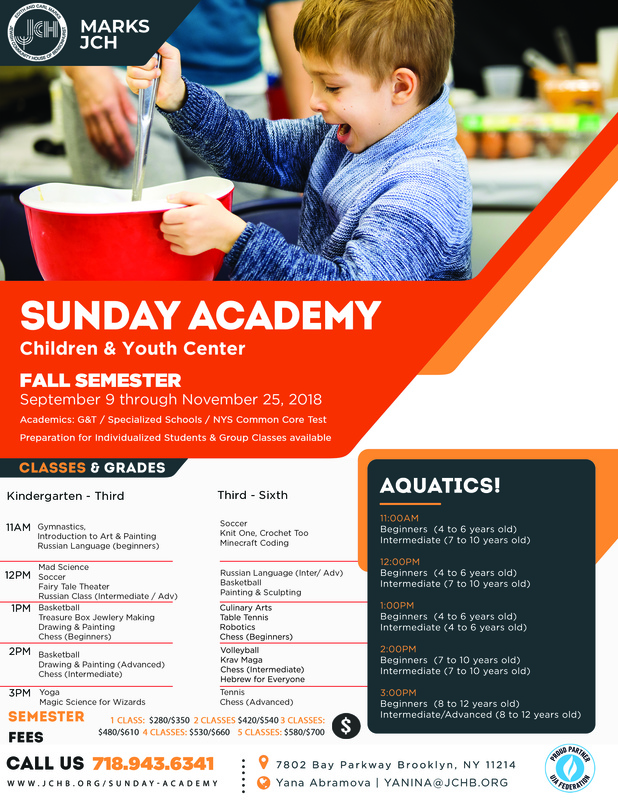 Through Sunday Academy, we offer children ages 4-11 a wide range of recreational and academic classes, including swimming, gymnastics, Zumba, yoga, Krav Maga, Legos, robotics, soccer, basketball, painting, and chess. Check out the full schedule of 20+ classes to see what might interest your child. 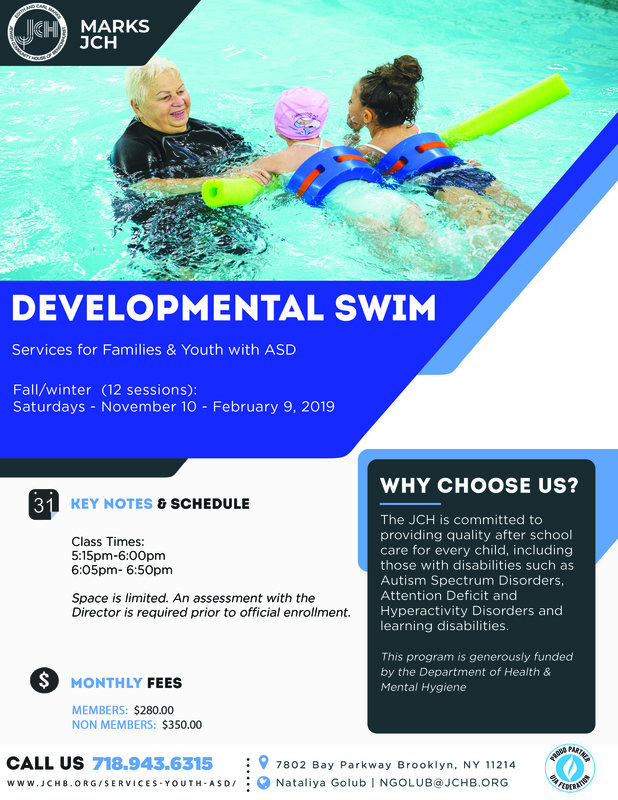 The developmental aquatic program for children with disabilities provides a positive outlook and emphasis on the strengths and unique attributes of each swimmer.